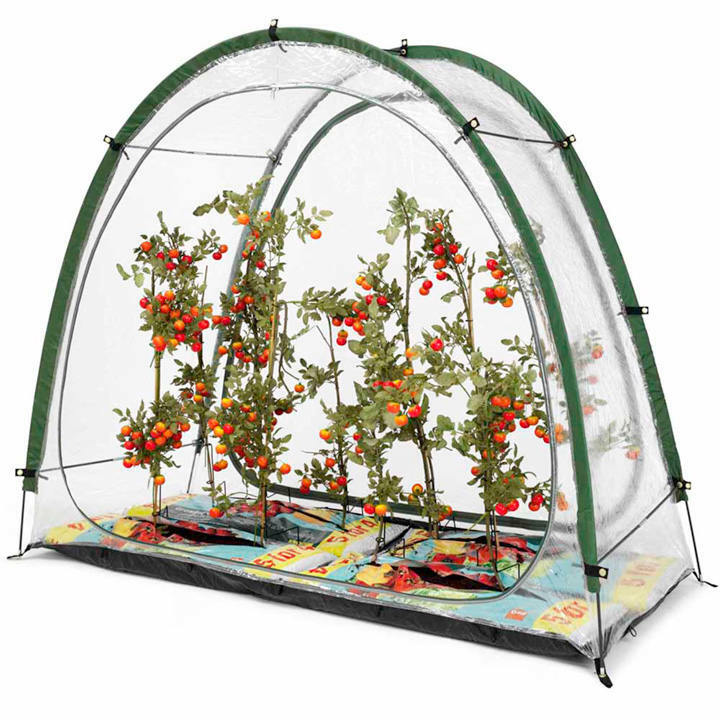 Growing your own fruit and veg has never been more popular, and whatever you like to grow fruit, vegetables, plants or shrubs you will have probably thought about buying a greenhouse, cold frame or poly tunnel at some time or other. So why haven’t you done anything about it? Greenhouses are costly, difficult to erect and often require quite a fair bit of space besides being a permanent structure. You probably only need your greenhouse at certain times of the year but once it's in place, they're there all year around. Wouldn’t it be nice if you could take it down in a matter of minutes and store it away under your kitchen sink, for example, until next year, or even until your garden party is over? Well you can if you have a Culti-Cave. Depth 80cm (31½") x width 200cm (78¾") x height 167cm (66"). Beware of cheap alternatives! Unlike many other plastic grow houses, the Culti-Cave is made from tough UV stable PVC and will not perish and disintegrate in 12 months time! Ideal for larger plants and flowers – also tomatoes, cucumbers, melons, strawberries, squashes, etc.